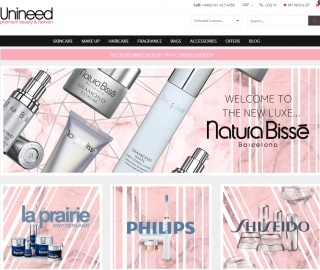 They are a beauty and fashion retailer dealing exclusively online. Their main product categories are skincare, make-up, fragrance, luxury handbags, watches, sunglasses as well as other accessories. Click a Coupon or click Start Shopping to earn 4% Cash Back at Unineed.